CHICAGO (WLS) -- A teen pleaded guilty Monday to one count of animal torture after a car was severely scalded with hot water in a Facebook video last winter. Leon Teague was sentenced to three years in prison. Teague, of Chicago, was arrested after officials said he was identified in a Facebook video showing him luring a cat onto a rear porch and pouring boiling water on the animal. 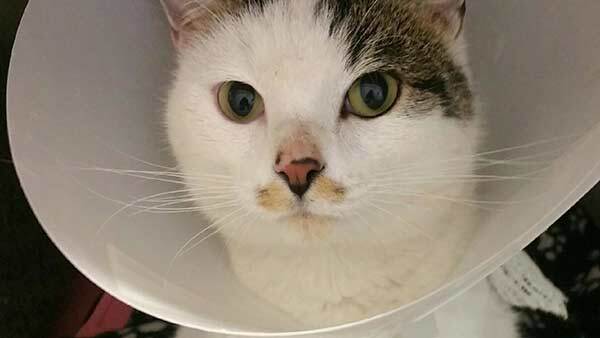 A Rogers Park animal shelter stepped in to care for the cat. The cat, named Driver, underwent surgery. The Felines & Canines animal shelter says Driver suffered extensive burn wounds to his back, sides, belly, chest and legs and was subsequently hospitalized on heavy doses of antibiotics, pain management medication and IV fluids after the attack. "Sometimes we need someone as evil as Leon Teague to show how swiftly and fiercely thousands of us can ban together to fight for the innocent," Felines & Canines wrote on its Facebook page. Leon Teague, 18, of Chicago.